The 32 private inpatient rooms on the third floor of the new hospital are designed for patient comfort and safety. Take a hard hat tour with hospital president, Trish Lollo. Watch the video. Every month, photographers capture behind-the-scenes images of the progress. 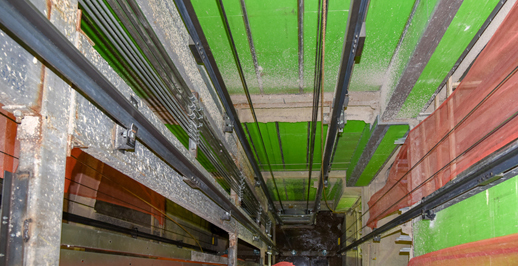 This view of an elevator shaft is something many will never see. Take a look at the latest photos here. February 2019 - Did you know the new hospital is designed to support efficient care delivery, from the layout of departments to the location of supplies? It’s also energy efficient. April 2019 - Join hospital president Trish Lollo, BJC project manager Mike Hayes and BJC activation lead Raema Howell for a tour of an inpatient floor under construction. 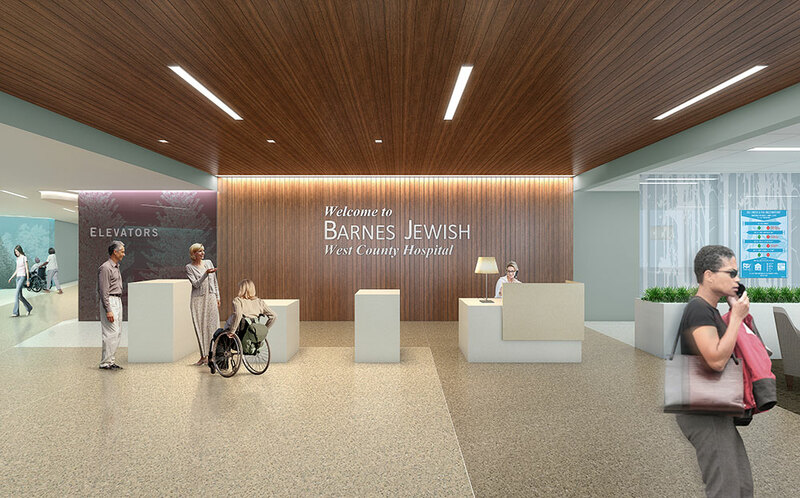 Patients and visitors will be greeted in the bright and spacious lobby. See more renderings here. 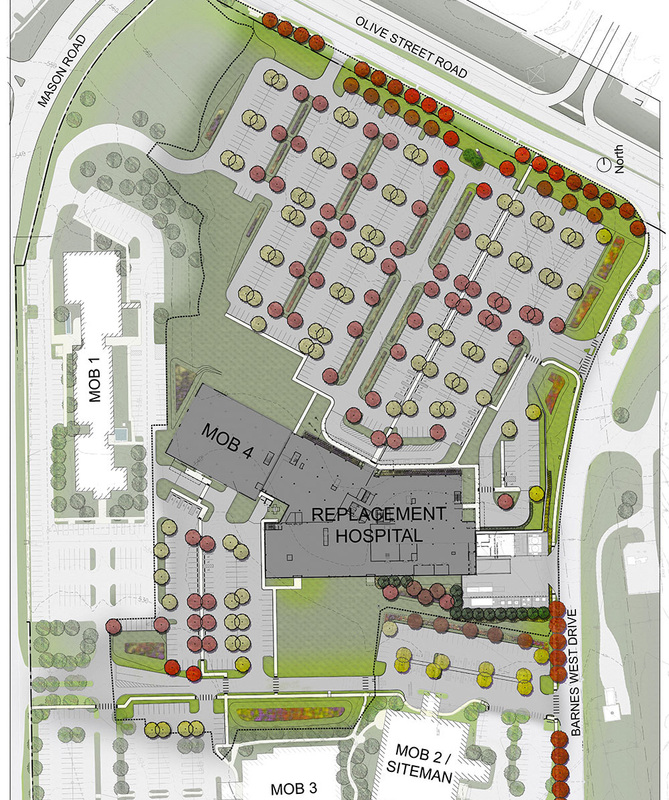 Plans call for a replacement hospital and medical office building located near the center of the campus. Learn more. 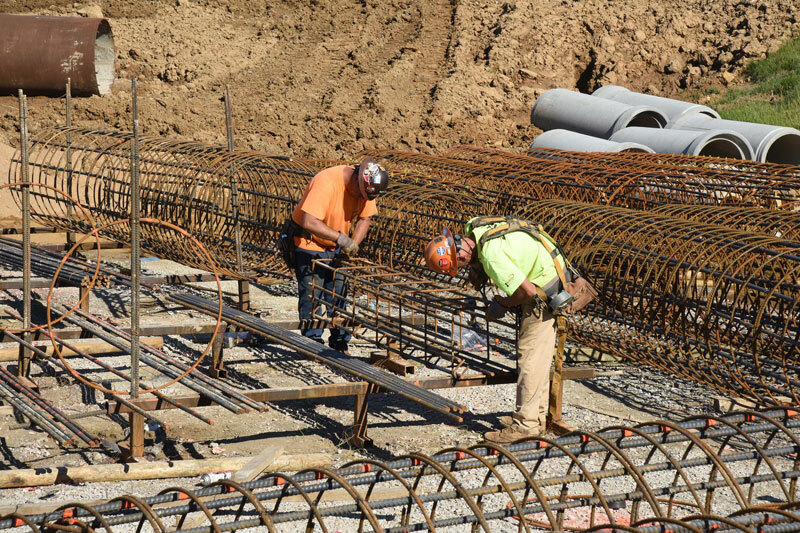 More than 200 piers will support the new hospital and medical office building. View the photo library.